Chicago is a shining Midwestern city, alive with culture and commerce. 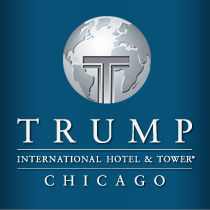 And as a resident or guest of Trump International Hotel & Tower Chicago, you will find Chicago's best within minutes of your doorstep. From the luxury retailers along Michigan Avenue to the fireworks display at the end of Navy Pier, there is something for everyone's tastes. Enrich your cultural life at the nearby Art Institute of Chicago, or explore the wonders of the popular Millennium Park, directly to the north. Discover the work of world-renowned architects, planners, artists and designers as you stroll through the Lurie Garden or enjoy an outdoor music festival at the award winning Pritzker Pavilion. Dine at the city's most highly rated restaurants, or discover your own neighborhood favorites from the great variety of cozy bistros and dining spots that dot the area in all directions. Afterwards, choose from fabulous entertainment options, from the world-famous Chicago Symphony Orchestra and renowned jazz Showcase, to a Broadway show in Chicago's bustling theater district. There is so much more, from the beaches of Lincoln Park to the corporations and attractions of the theater district and the Loop. Trump only puts his name on the best– and Chicago rises to the occasion. Welcome to Trump Chicago Condominiums. The most spectacular condominiums in all of Chicago.